Tablets don’t launch as often as smartphones and that’s ok, because you don’t need a new tablet every year. 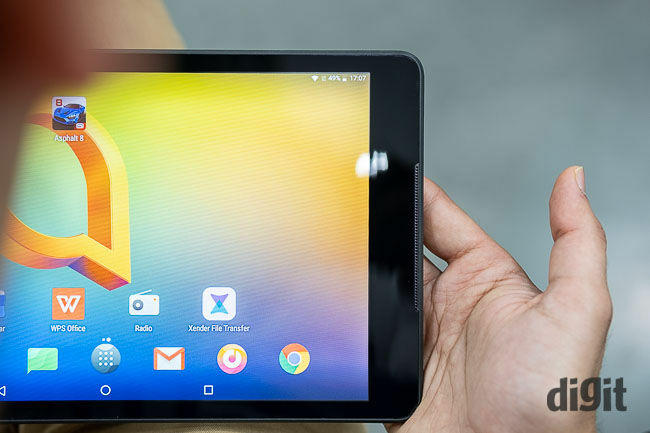 A tablet is a device you purchase once, and it will last you for quite some time. A tablet is ideal for a bunch of use case scenarios. It’s great for watching movies if you want a big screen experience on the go, great for gaming especially strategy games and of course, staying in touch with the world. It’s safe to say that a tablet is more of a content consumption device than a content creation device. 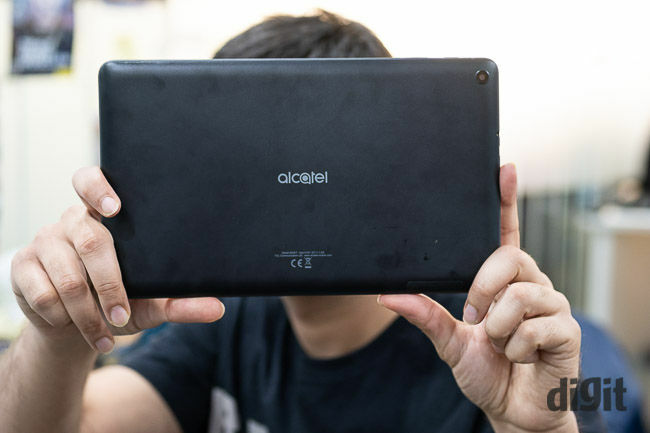 Today we have with us the Alcatel A310 tablet. Is it a great companion for you to consume content on the go? Battery: 4600mAh battery; no fast charging. Kicking things off with the build of the Alcatel A310, it is made of plastic. The rear panel, however, has a textured finish, which adds grip to the device. It won’t slip out of your hands easily. 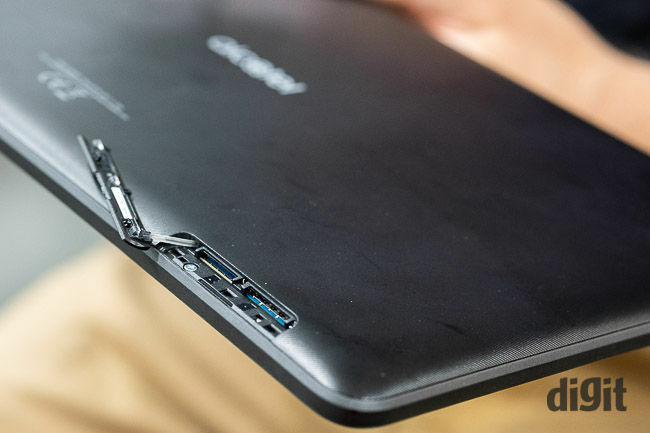 At the bottom, you have a flap which houses the microSD card slot and the SIM card slot. Speaking of connectivity, in landscape mode, the device has the headphones jack and the charging port on the left and the power button along with the volume rocker on top. 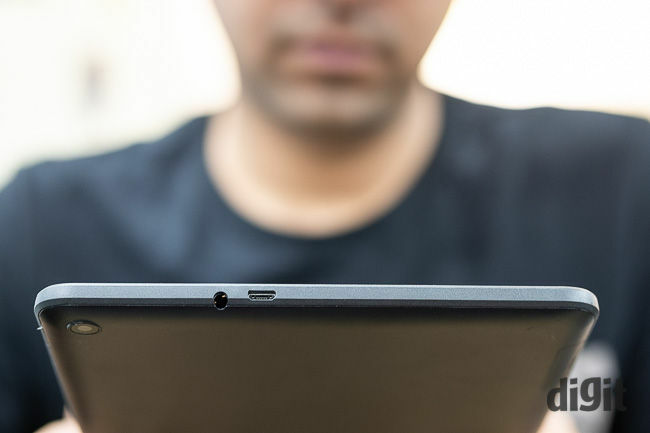 The tablet has two front-facing speakers. It has a front camera on the top left corner and the rear camera is located in the top left corner too. The overall build of the device is functional. The display has thick black borders all around but it is nothing to complain about as it acts as real estate for grip. When it comes to the build, you get what you pay for. 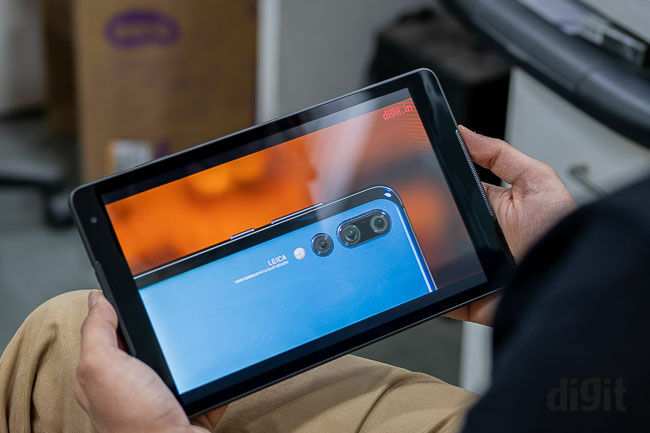 Play a YouTube video on full volume and even though the speakers on the tablet are loud, the entire device vibrates which isn’t a good thing especially if you will hold the device in your hands for long viewing sessions. 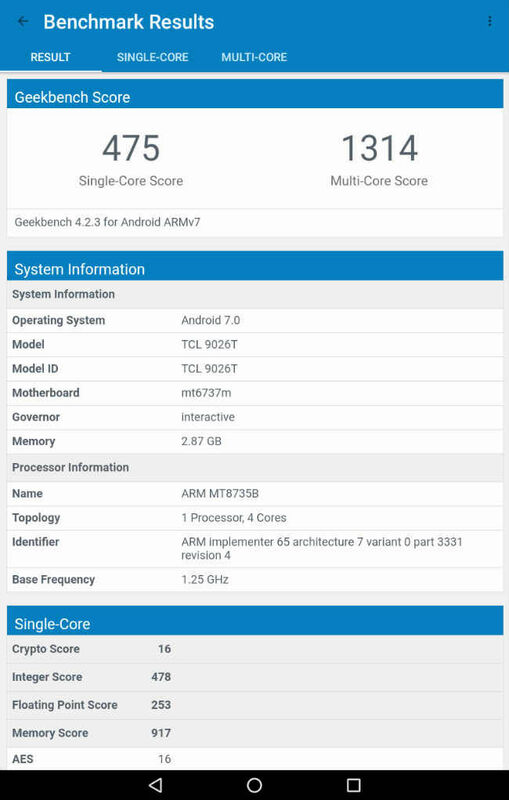 Overall the build of the Alcatel A310 feels somewhat cheap. The textured rear adds to the grip which is a nice touch. Coming to the display, the Alcatel A310 has a 10.1-inch display with a 1280x800 pixel resolution giving it a pixel density of 149.45ppi. It isn’t the crispest display we’ve seen but the colour reproduction looks good. We saw the Spider-Man Homecoming trailer on the tablet. From the red’s and blue’s on Spider-Man’s suit to the day and night scenes in the trailer, it all looked good on the device even though the display was reflective. We watched some Netflix on the tablet too. Daredevil Season 2 Episode 3’s staircase fight sequence looked good on the display. The transition between the light and dark sections of the corridor were noticeable, even though the display is reflective. However, I can’t help but highlight the lack of crispness of the display. We’ve been spoiled by the Full HD resolutions pixel density on smartphones, that the 1280x800p resolution of the tablet makes content lack crispness. For everyday use, the display looks fine. Browsing websites and reading e-books is alright. However, sunlight visibility of the display does suffer. The display on the tablet has a maximum luminance of 390 lux. The display is quite reflective, even under indoor lights and that can be a problem. Moving to sound, as we mentioned earlier, playing the trailer at a high volume made the tablet vibrate. The audio from the tablet itself isn’t the best when it comes to fidelity, even though it is loud. You can use the speakers if you absolutely need to, but you are better off using a pair of headphones. The tablet does have two front facing speakers for a stereo experience and since they are front facing, the audio is in your face (which is good). Overall, the speakers are loud but not the best with audio quality. The biggest problem I have is the vibration you face when using the speakers of the tablet at high volumes and that is a big bummer. The tablet is running on Android 7 out of the box with a light UI overlay. For the most part, the UI is stock and if you have used an Android device in the past, you will feel right at home. There is a dialler app which means that you can make calls from it. The tablet also comes with a built-in FM radio, which is great. As far as customizations on the UI go, you have a bunch of interesting shortcuts at the bottom of the lock screen. These include a shortcut to the Google Assistant, clock app, calendar, and camera. You also have the option to customize these shortcuts. In terms of other customizations, you have a folder opening like the animation for folders that you create on the home screen. You also have an additional app store apart from the Google Play Store on the device. Overall, the UI is functional, no complaints here. 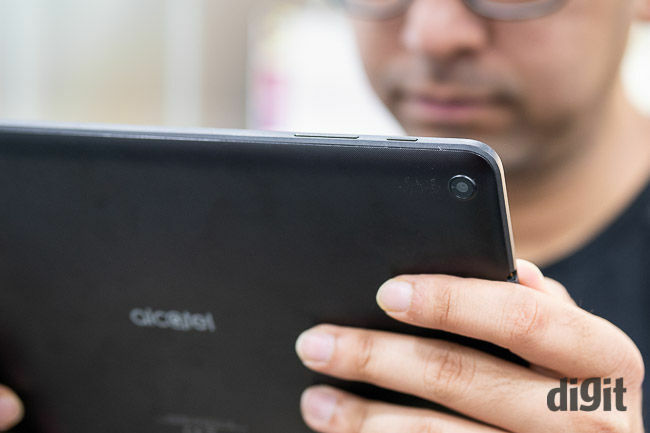 When it comes to real world performance, the tablet can be described as average at best. Starting with the touchscreen, it feels ever slightly grainy which will be a problem if you play games like Subway Surfer that requires you to swipe a lot. The typing experience on the other hand is OK. Typing in portrait mode is easy for me since I have long fingers. If you will use this device to type a lot of documents, I would recommend you use a Bluetooth keyboard. 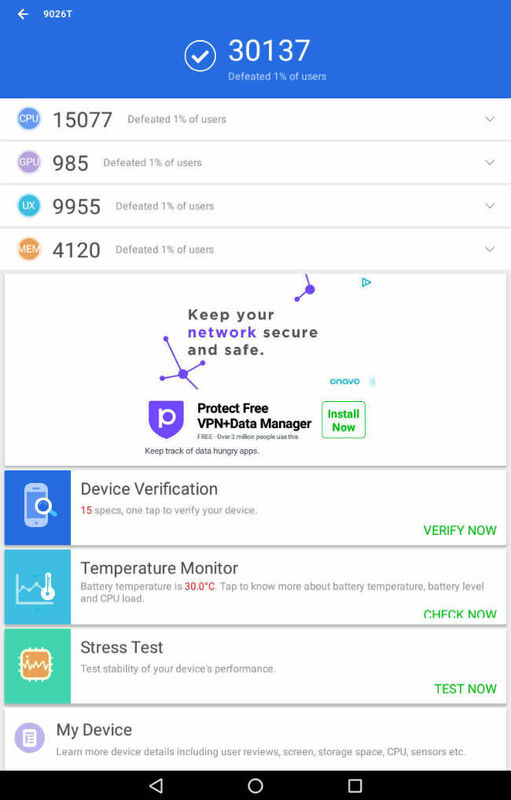 The device isn’t a multitasking or gaming beast. Run too many heavy apps and you will see a slowdown. Games like Asphalt 8 play in low framerates which doesn’t give it an enjoyable experience. If you will play light games like FarmVille or solitaire, then you should be fine. The movie watching experience is decent and we’ve covered that in the display section above. 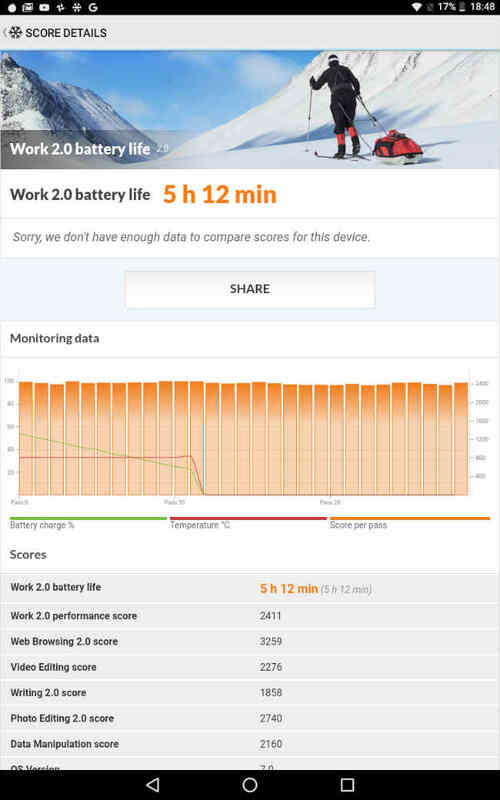 When it comes to battery life, don’t expect this to last you a day. On the PC mark benchmark battery test the device lasted for a little over 5 hours which is below average for a tablet. 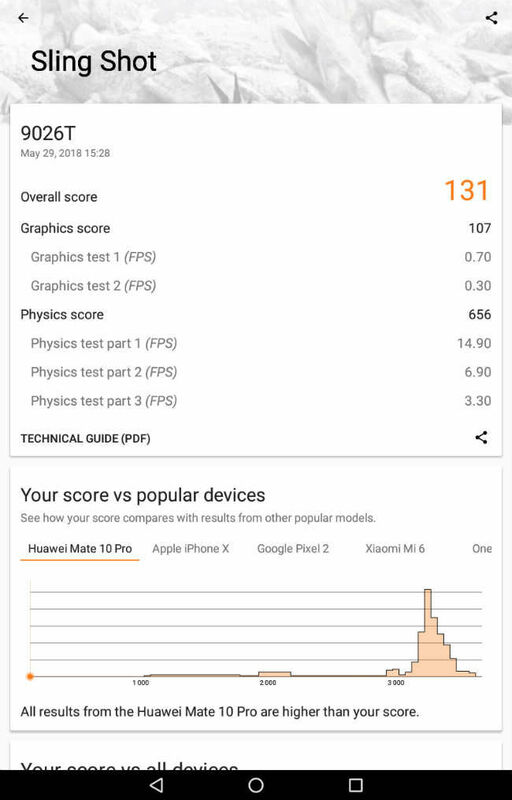 It’s hard to recommend a tablet with average performance for 12k when you can get a fantastic smartphone for the same price. If the screen size is the only thing that matters for you, then yes, you can consider it. However, if a feature rich experience is what you are looking for, then there are plenty of 5.5 to 6-inch smartphones available at the same price point which will be better value for money propositions. which phone is better Alcatel Oneatouch idol ultra or Alcatel OneTouch Idol X ?